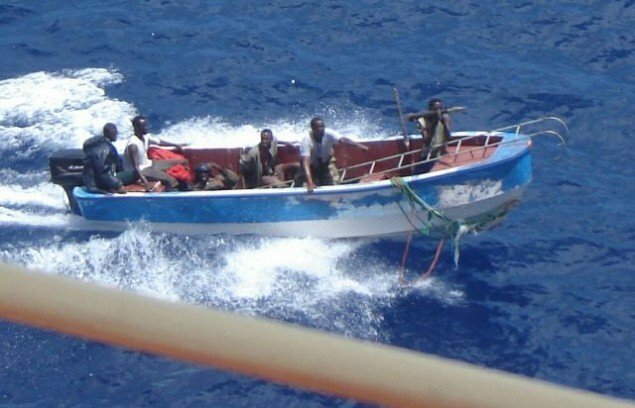 Somali pirates are clearly targeting smaller vessels as hijackings off the Horn of Africa pick up dramatically. A Pakistani vessel, Salama 1, has become the fourth ship to be attacked in less than three weeks, just one day after an Indian vessel was also hijacked. The Salama 1 was carrying a cargo of food when it was captured by pirates, according to the New York Times and multiple agencies. The number of crew kidnapped remains unclear. Piracy was rampant off Somalia for a four-year period from 2008. However, from 2012 until last month the scourge had disappeared. Looking at the four incidents to date this year, it appears the pirates are mainly launching their attacks from the semi-autonomous region of Puntland. Illegal fishing has been cited by some experts for the reason for the return of pirate action in the area, while other security advisers have pointed out that many ships have got lax in their security precautions when approaching the Somali coastline.